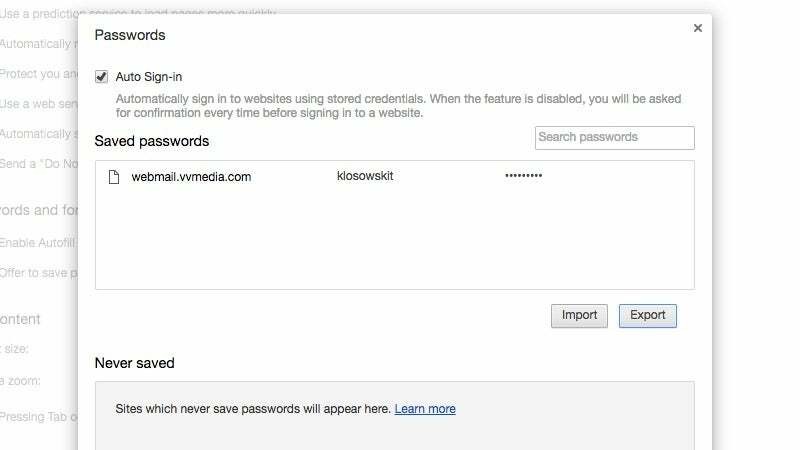 Chrome: We've mentioned time and time again that Chrome's password manager is not very secure, but it was never very easy to actually heed that advice unless you wanted to start over from scratch. Ghacks points to an experimental feature where you can enable the option to export passwords. All you need to do to enable it is type in chrome://flags into your URL bar, then search for "Password import and export". Set that toggle to enabled and relaunch your browser. Then, head to chrome://settings/passwords (or Menu > Settings > Advanced Settings > Manage Passwords) and click the Export button. That exports your passwords as a plain text CSV file, which is pretty easy to take to just about any other password manager you want. A few password managers have had import options right from Chrome, but this makes it so you can take a little more control over the process.